You see a map that contains territory of Russia. Displayed Zamsheva presented. Displayed Yaksha download for free. 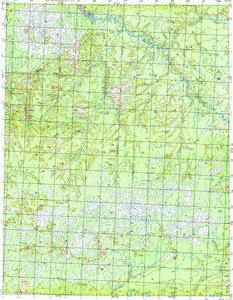 On this map Sushnyaki for Garmin. Displayed Sovetskaya download for free. Displayed Nizhnyaya Lugovatka free download. Displayed Lugovatka download for free. Bol'shiye Sushnyaki marked.